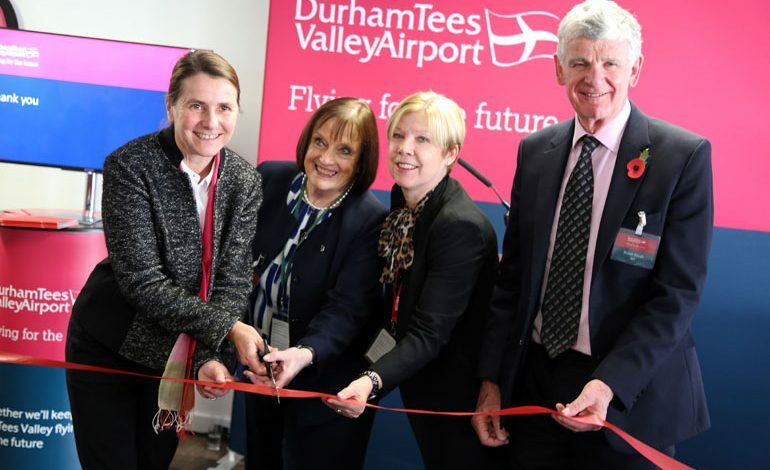 Businesses across the region have today been told they can play a vital role in joining with Peel Airports to secure the long-term future of Durham Tees Valley Airport. Airport chairman Robert Hough briefed local companies and special guests, including Sedgefield MP Phil Wilson and Aycliffe Today, on the progress being made in delivering the ‘Master Plan’ as its new £250,000 terminal improvements were revealed. Mr Hough also revealed Peel has invested £38m in the airport to cover vast losses to date – but that it remains committed to securing its long-term future. Delivery of the Master Plan, launched in 2014, is now being phased to 2020 and beyond and is aimed at creating 3,800 new jobs, plus a further 450 full-time jobs during its construction phases, and it’s claimed will add more than £348m GVA to the regional economy. Other development proposals include a mixture of office and residential with associated community facilities and an extension to the on-site St George’s Hotel. 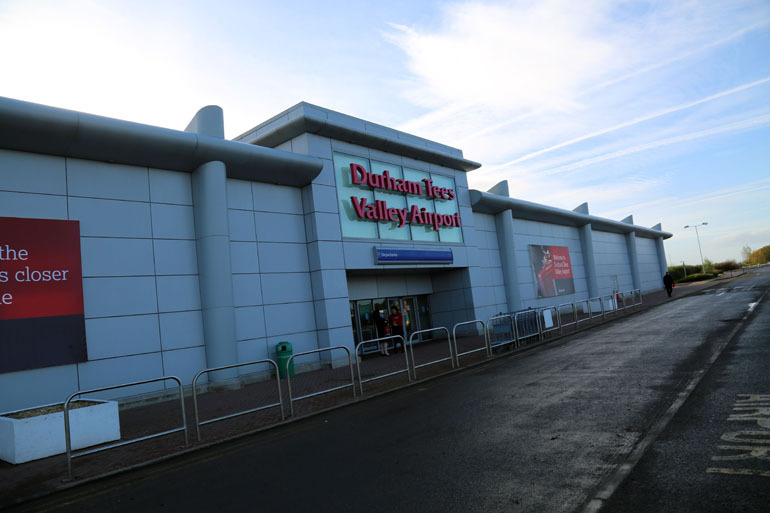 Mr Hough said: “We all recognise that, in common with many other regional airports, the last decade has been extremely challenging for Durham Tees Valley. 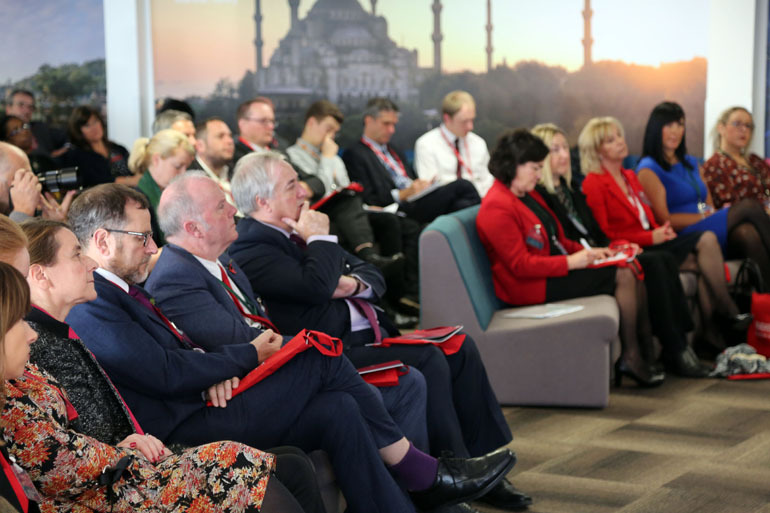 “To date Peel Airports has invested £38m in meeting capital spending and operating losses, but I want to make it clear to the local business community – and indeed the region as a whole – that Peel Airports’ level of commitment to securing its future is clear. “The Master Plan was designed to set out the blueprint for the airport to 2020. Now we’re at the half-way stage of that initial phase, we can point to real progress, not least the agreement reached with our local authority partners to ensure the airport remains open for at least eight years providing certainl financial criteria are met. DTVA’s Master Plan predicts passenger numbers to grow at the airport to 200,000 a year by 2020, in line with Government forecasts, from the 165,000 figure it handled in 2012.